The Year 12 Formal takes place in three weeks’ time at Leonda on the Yarra. 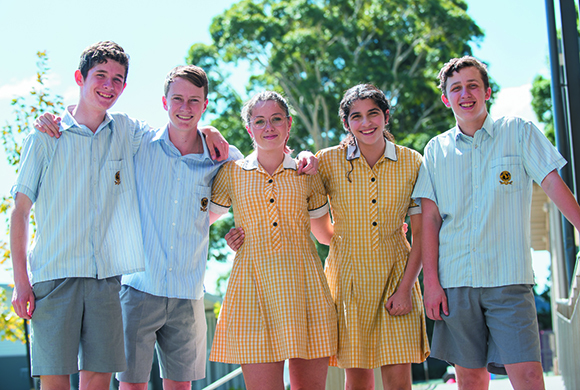 It’s an absolute highlight of the School calendar for me, not least because of the way our Year 12s rise to the occasion, aware of its social significance as an important moment in denoting the rites of passage from childhood to adulthood. The occasion itself is made up of profoundly simple but beautiful components – the donning of 'formal' attire, the sharing of a meal, a spot of dancing and the frisson of courtship – age-old rituals that have rightly retained their relevance across the generations. It is through participation in rituals such as this that the transmission of a human community depends. The journey begins with the collection of the ticket. Over the last week we’ve had a steady stream of Year 12s file into Reception to offer their names in exchange for the entry pass; each without fail has spent a moment turning it over in their hands, admiring its design; considering its value. They invariably leave smiling, and so the journey begins. Last week, the entire cohort took over the Quad at lunchtime for the filming of a choreographed scene for the infamous Carey Formal Video. For 30 glorious minutes, the Senior School was filled with show-stoppers from the hit Broadway production High School Musical. There was dancing on tables, twirling and clapping, laughter and unself-conscious joy. The younger year levels looked on smiling, filming, delighting – and in that moment, the words of Anthropologist Clifford Geertz were realised for culture truly is the stories we tell ourselves about ourselves. If education is essentially about transformation, about the slow movement towards becoming, then we all have a part to play in bringing our children into an authentic human community. For C S Lewis, it was all about propagation or 'old birds teaching young birds to fly' – an act defined by relationship and active engagement. For Socrates in 4th Century AD it was replete with civic responsibility for 'much turns, more than we are conscious of, on a man’s becoming good or bad'. He was right of course - a world of potential hinges on that single verb; watching our young people last week I felt a lump form in my throat for all that they are and all that they may yet become.